Home / Intelligent Reviews / Social Multiplier Review – Instant Pinterest Traffic For Free? You may have heard of Jonathan Leger. He’s the man behind bestselling products like The Best Spinner and Article Builder. 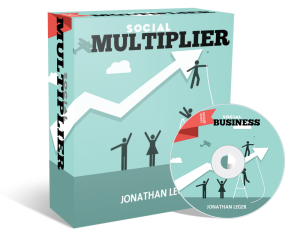 Jon just released his newest masterpiece that he calls Social Multiplier. An interesting sidenote… Jon has been coding since he was 8 years old. Now that’s not something you hear every day, is it? I guess the obvious question is, what is this Social Multiplier software exactly? It’s a Windows software application that you download and install on your PC and then schedule ‘linked’ images to be posted, or Pinned, on Pinterest. You tell Social Multiplier which of your Pinterest Boards the images go on and that categorizes the images which is what gives you a targeted audience. Every image has your specified link attached, which would be the website you want to get Pinterest traffic to go to. When any Pinterest member clicks on one of your pinned images, it takes them to your website. Social Multiplier also automates the Following process on Pinterest. Like any social media site, the more followers you have, the more exposure you get for anything you post on Pinterest. So, the more followers, the more traffic. And Traffic = Money. Even better, when any of your followers RePin one of your Pins, then all of their followers see your images and your link is still there. I’m not sure how Social Multiplier actually does the ‘Following’ thing for you but what I can tell you is it works and it works great. You can literally refresh your Pinterest page and watch your Follower count go up. This act of RePinning and RePinning can go on a dozen times in hundreds of different branches of followers. That’s what makes your Pinterest traffic grow exponentially and so fast, which by the way was the whole point that Jon was trying to accomplish with this software. You may be wondering why Pinterest traffic is a good thing to go after. There are lots of great traffic sources out there so what makes Pinterest so special? In fact, experts will probably tell you the best traffic you can possibly get is organic search engine traffic from the big dogs like Google, Yahoo and Bing. That’s because search engine traffic is highly targeted and real-time. If someone types in a search that brings up your website on the first page or two of the search results then they are searching for exactly what you are offering. Right there and right then, which makes them a very hot prospect. Fact is, most of Jon Leger’s products are geared around search engine optimization. Ranking high in the search engines by doing things like creating quality content and generating high PR (PageRank) backlinks. All things that are prerequisites for the major search engines to give you a high ranking in the SERPs. Social Multiplier was born from a personal challenge. Jon wanted to see if he could find a way to essentially replace organic search engine traffic. A monumental task to say the least. What Jon eventually discovered was nothing short of amazing. To him and to me! Not only was he able to get highly targeted traffic from Pinterest but the traffic started almost instantly and grew by leaps and bounds every day that he kept Social Multiplier running and even though it trickled down somewhat after he turned it off, it never stopped sending traffic and adding followers to his Pinterest account. The traffic and how fast it started weren’t the only things Jon discovered about Pinterest. Check this out. Pinterest is a PR9 website. The highest PageRank Google gives a website is PR10. What review would be complete without a list of pros and cons, right? The best part of course is that it’s FREE traffic. The traffic starts almost instantly. A practically impossible feat to accomplish with search engine traffic. Works with any niche as long as there are plenty of images available that target that niche. Very reasonable price point. Especially considering what this kind of traffic would cost you elsewhere. If you don’t have images available or not enough, Social Multiplier has a built-in function that will find thousands of images for you based on a keyword you enter, all on autopilot. All the Pins and Repins end up generating 100’s or 1000’s of PR9 backlinks for you which, in turn, helps you rank your website much better in the SERPs. No Mac version available, although Jon does recommend a possible solution for Mac users near the bottom of the sales page. Not suitable for micro niches (in my opinion) because images would be limited. Jonathan Leger didn’t come up with this idea a year ago! I have to give Jon’s Social Multiplier a big thumbs up. I mean c’mon. We’re talking about boatloads of highly targeted FREE traffic here that keeps coming in as long as you want it. Isn’t that what we all (desperately) want. Click Here or on the product image below and secure your copy of Social Multiplier today and you can have people visiting your website – like it’s rush hour on a Friday afternoon – within a few hours. 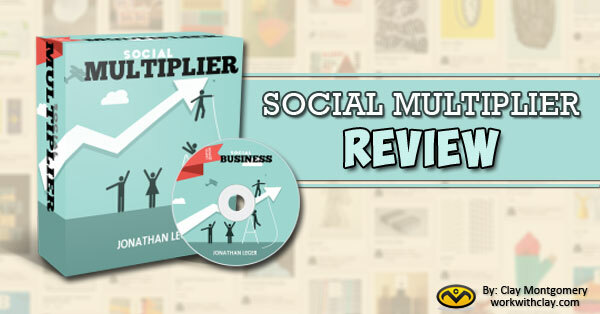 If you enjoyed this post on Social Multiplier Review – Instant Pinterest Traffic For Free? please share it and comment below. With this review I think I’m going to sign up for Pinterest and then get the product so I could be driving mad traffic to my blog. Thanks for sharing Clay.